Accessorise your shower space with the incredibly elegant Cube Shower Head (Satin Black). Featuring satin black finish, the latest trend in bathroom design, it will certainly add charm and practicality to any bathroom space. 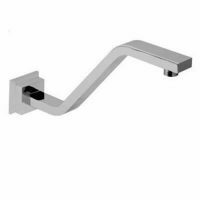 Moreover, it has been designed to offer easy installation in any bathroom space. Apart from good looks, this shower head is also extremely practical. It features a brilliant design with special emphasis on ergonomics. It is equipped with a solid lever handle and is easy to grip and operate. 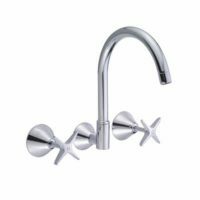 Furthermore, it is also equipped with ceramic disc cartridges, which offer precise control over the temperature and flow of water. The Cube Shower Head is a superior grade product with first grade workmanship. 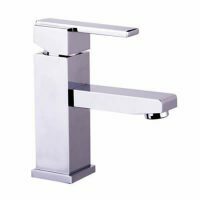 It is manufactured using solid brass construction and is therefore, highly durable and sturdy. 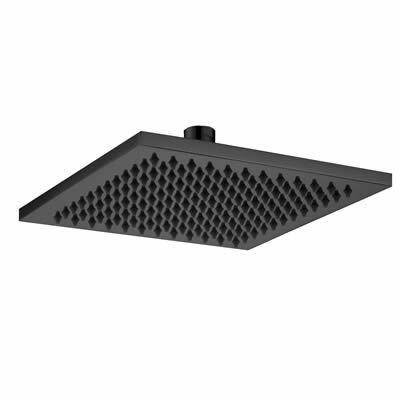 Enhance the look of your bathroom and add practicality on a budget, with the Cube Shower Head (Satin Black). Grab yours at the lowest market price from Ross’s Discount Home Centre and avail of free delivery across Perth Metro. Drop by our showroom or visit our online store today!